The Change For Life campaign at New Life Pregnancy Center is in full swing. Get involved TODAY by picking up a baby bottle in the Fellowship Hall! During this time please pray for the mothers, fathers, and children as well as NLPC. 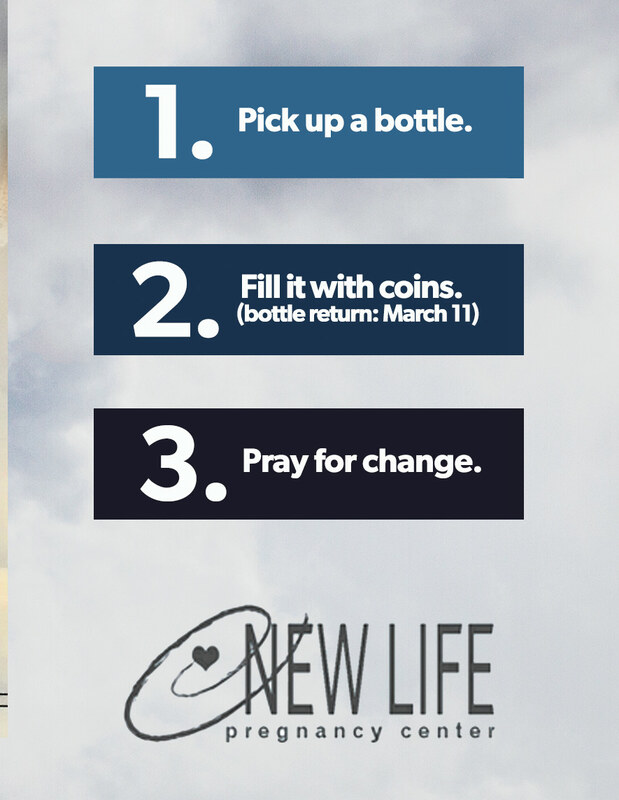 Return your filled bottles to the church by March 11. New to Harvest? Come to the next Membership@Harvest class on Saturday, March 2, 5-8 pm, to get an informed sense of who we are, our vision, history, leadership and the values most important to us as a church. This class, required for membership, is taught by our Pastors and Elders. Sign up to attend on the Friendship Register. We are grateful for the many hands that work for Christ to maintain and improve our church building and property. Pitch in at our next work event: Saturday, February 16 from 8am -11 am. Come at 7 am for breakfast before the work begins. 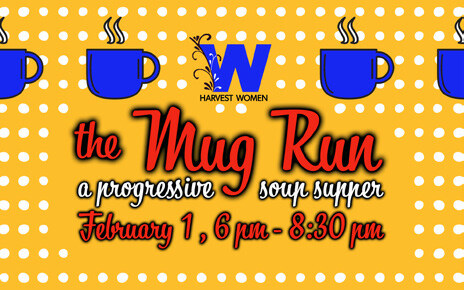 Ladies are invited to a Progressive Soup Supper, “The Mug Run”, on Friday, February 1, 6-8:30 pm. We will meet at the church at 6pm, and carpool to three host homes for appetizers, soup and dessert. Each lady is encouraged to bring along her favorite mug. Please RSVP in the Fellowship Hall or on the Friendship Register. Celebrate the New Year here at the church on December 31 from 5:30 to 8 pm. The evening will include a potluck, a Glow-in-the-Dark Jam, Countdown to the New Year, and more! Please bring one main dish and one side dish (tableware is provided.) ALL AGES are encouraged to come join in the fun! RSVP in the Friendship Register or in the Fellowship Hall. Come! Celebrate the birth of our Savior at a family Christmas Eve service, Monday, December 24 at 5:30 pm. Together, in this special 45-minute service, we will focus on the peace of Christ. Invite family and friends to come with you. "Once again, Harvest Decatur will be a collection point for"
"Operation Christmas child shoeboxes, November 12-19." "Shop for and pack your boxes (available in the Fellowship Hall)"
"at home, pray for the recipients, and bring boxes to the church,"
"with $9 per box for shipping. Sign-up in the Fellowship Hall to"
"accept boxes during collection times. Visit Samaritan’sPurse." "org for stories of how shoeboxes have impacted recipients,"
"and for family/children lessons and activities." A baby dedication is scheduled for Sunday, October 7, during the worship service. This ceremony is open to parents (of children under 2) who wish to publicly commit to the call of raising their children according to the principles of God’s Word. Contact Pastor Tony or indicate your interest on the Friendship Register if you would like to be included in the dedication. Workshops and labs have been released for the 2018 Vertical Church Conference, held October 15-17 in Rolling Meadows, Illinois! Main speakers will include Matt Chandler, Ravi Zacharias, Eric Mason, and Ed Stetzer, among others. Choose from a line-up of one-hour lectures on practical topics (workshops) and one-hour blocks of multiple short talks, followed by Q&A (labs.) Join a group from Harvest Decatur attending this 3-day event for pastors and church leaders, geared to accelerate the building of vertical churches. Find more info at VerticalChurchConference.org. Indicate your interest on the Friendship Register. Ladies, we know you navigate many different roles – wife, mom, friend, co-worker, boss, counselor. But underneath your titles and responsibilities is a woman made and loved by a God who wants a relationship with her. Friday night, October 19, 6:30-8:30 pm, come to the church, away from it all, for two hours of worship, reflecting on the names of God, fellowship and refreshments. Invite friends to come with you! New to Harvest? Come to the next Membership@Harvest class, Saturday, September 29, 5-8 pm, to get an informed sense of who we are, our vision, history, leadership and values most important to us as a church. This class, required for membership, is taught by our Pastors and Elders. Sign up to attend on the Friendship Register. 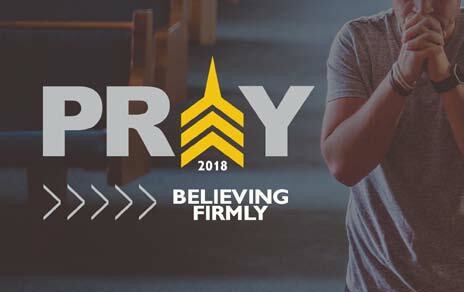 Believing firmly in the Power of Prayer, we will join together today from 4-5:30 pm to praise the Lord, encourage each other from His Word, and seek God’s refreshing hand in the work of His church and his people. Families are welcomed to come together. 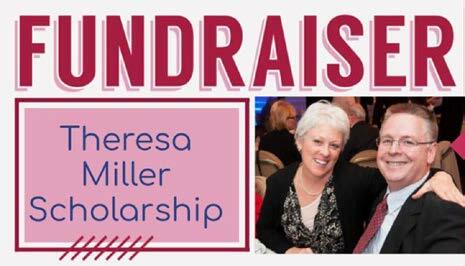 Sign up TODAY (high school age and up) to help with the fundraiser for the Theresa Miller Scholarship, Saturday, September 22. Volunteers are needed to set up/supervise kids’ games, donate candy, & serve concession food. It is very important to sign up in the Fellowship Hall if it is your intention to be involved. Registration forms for the Duathlon and tickets for the dinner are also available in the Fellowship Hall. Come to the church July 28, at 8:30 am, for the next monthly maintenance day. Join CREW 1 as they work to maintain and improve the physical church building and property of Harvest Decatur. There are jobs for both men and women. If you are interested in joining a maintenance crew, please contact Ian MacKenzie, or indicate your interest on the Friendship Register. Ladies, plan to get together on July 27 from 6:30-8 pm at the Gibsons’ home for a casual summer evening celebrating our freedom in Christ. Coffee and drinks will be provided. Please bring a dessert or snack to share. The Gibsons’ address is 444 Bay Shore, Decatur, IL 62521. At Harvest Decatur, you hear a lot about Small Groups. That’s because we believe Small Groups are the best atmosphere for biblical care and fellowship. This summer is a great time to visit a Small Group in a casual setting . Meetings happen on Sundays, Tuesdays, and Wednesdays, with added summer social events. We are excited to announce that this fall a new group is forming to meet on Wednesdays. If you would like to visit Small Group this summer, contact Michael or Shelley Vernon, or indicate your desire on the Friendship Register. Ladies, mark your calendar for this year’s Harvest Women Spring Tea & Bake Off, to be held on Saturday, May 19 at 10 am. If you would like to get involved in preparation for this event, contact Sanja Caffey, 294-1331, Sanja.Caffey@gmail.com or Amy Golz, 972-2457, bass_chick@comcast.net. Harvest ladies are invited to a Ladies Night Out at Clinton First Christian Church, Thursday, April 26, 6:30 pm. Derya Bennett will share her personal faith journey from the Muslim religion to Christianity. Ladies are asked to bring a salad. If you plan to attend, please RSVP to Katie Clayton no later than April 21, in person or by email (axeloftheflames@gmail.com). There will be a time to help the Hendersons this Wednesday evening. They need to clean out the garage. It was untouched by the fire but the plan is to reinsulate and redrywall. Wednesday at 5:30. No tools needed unless you want to bring gloves. The address is 4129 N Prairie View Rd, Oakley 62501. During the Sunday morning worship service on March 25, we will witness the baptism of believers who desire to profess their faith in Jesus through baptism. Join us as we praise God for the good work He is doing in these individuals. Contact Pastor Tony if you are interested in being baptized. A baby dedication is scheduled for Sunday, March 18, during the worship service. This ceremony is open to parents (of children under 2) who wish to publicly commit to the call of raising their children according to the principles of God’s Word. Contact Pastor Tony or indicate your interest on the Friendship Register if you would like to be included in the dedication.